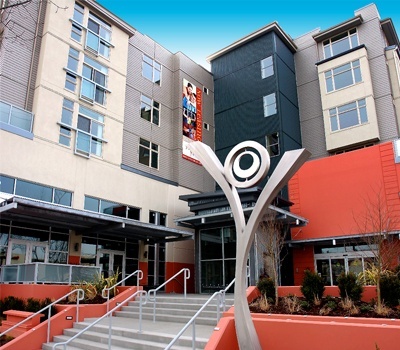 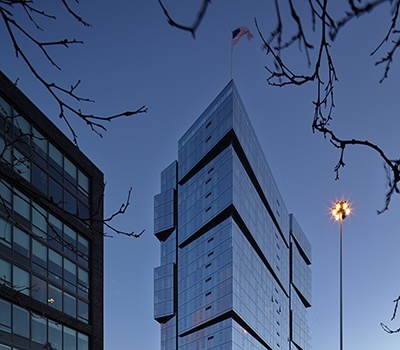 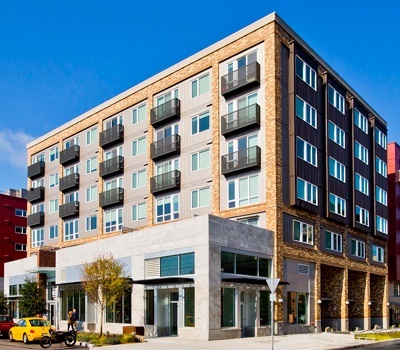 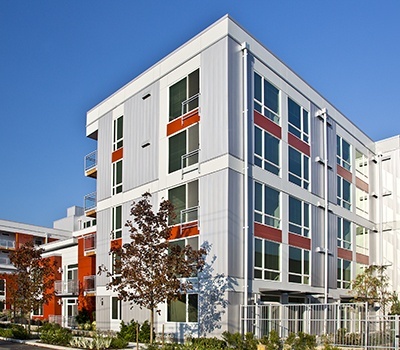 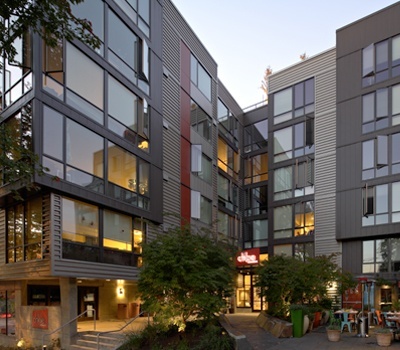 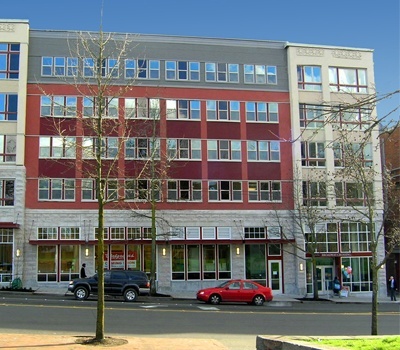 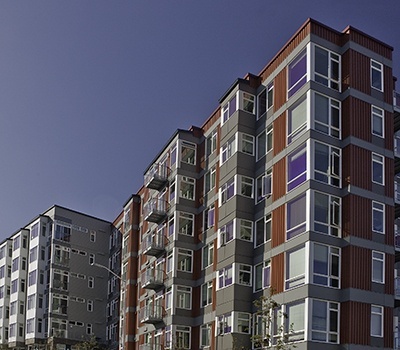 Following the resounding success of the Artspace Tashiro Kaplan Artist Lofts, the demand for a second live/work project in Seattle yielded the Artspace Hiawatha Lofts, a 61-unit building located in the city center. 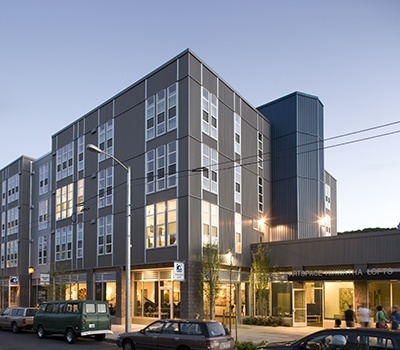 Our firm provided design services for both Artspace projects and used our deep understanding of the owner’s vision for this second affordable housing project. 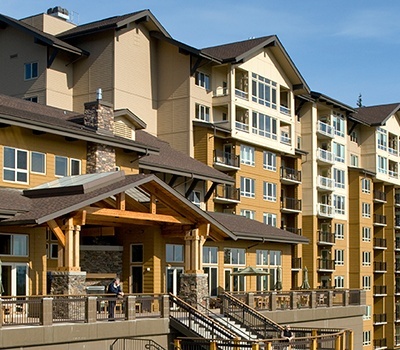 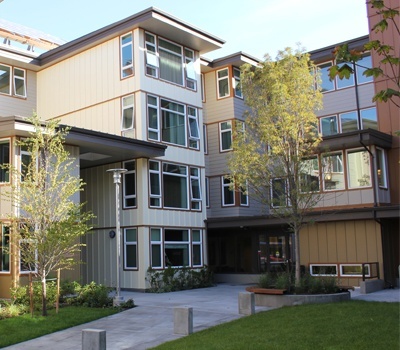 The four-story Hiawatha contains an expansive exterior courtyard and a large community room that accommodates a variety of uses, including performances, lectures, and demonstrations by Hiawatha tenants. 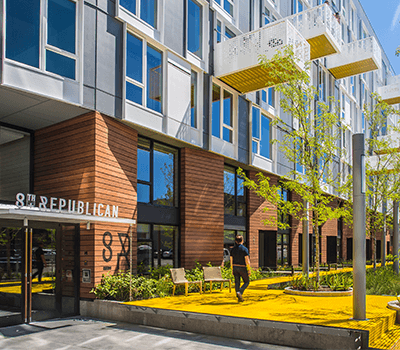 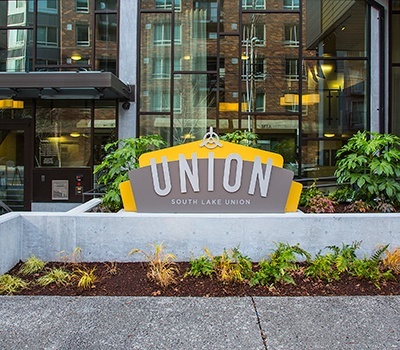 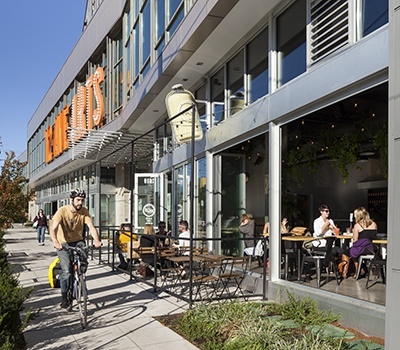 Designed to recall the industrial buildings that formerly dominated the northern end of the Rainier Valley, it has large windows, high ceilings, and durable surfaces that permit a multitude of creative uses. 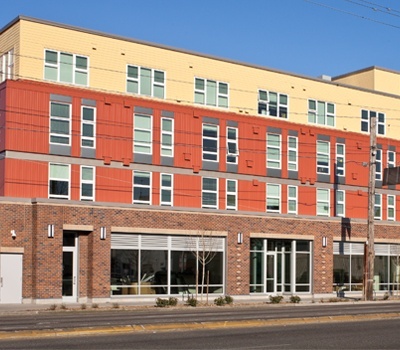 Located one block from the east link light rail line scheduled for completion in 2020 and a short walk from Seattle’s lively International District, the Hiawatha is a welcome addition to a neighborhood with many cultural assets.